Low Carb Meatloaf, SUPER Tender, Moist + Juicy Family Favorite! 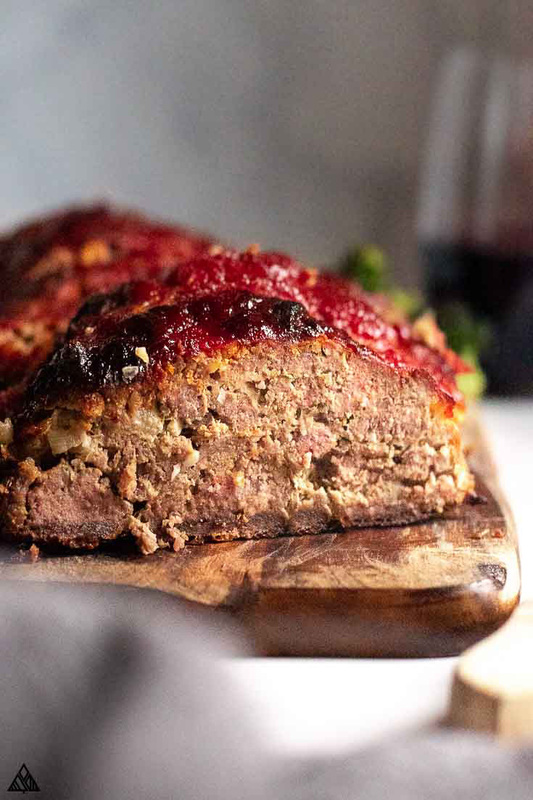 Few meals are more comforting than a big old slice of warm and tasty low carb meatloaf. But as you know, meatloaf is traditionally made with a handful of high carb ingredients. So, I made a few swaps, added some low carb magic, and viola! A low carb meatloaf even Grandma will be proud of! Low carb meatloaf is one of my favorite low carb meals for busy weeknights — you only need 20 minutes to saute your low carb vegetables and throw everything in a pan! 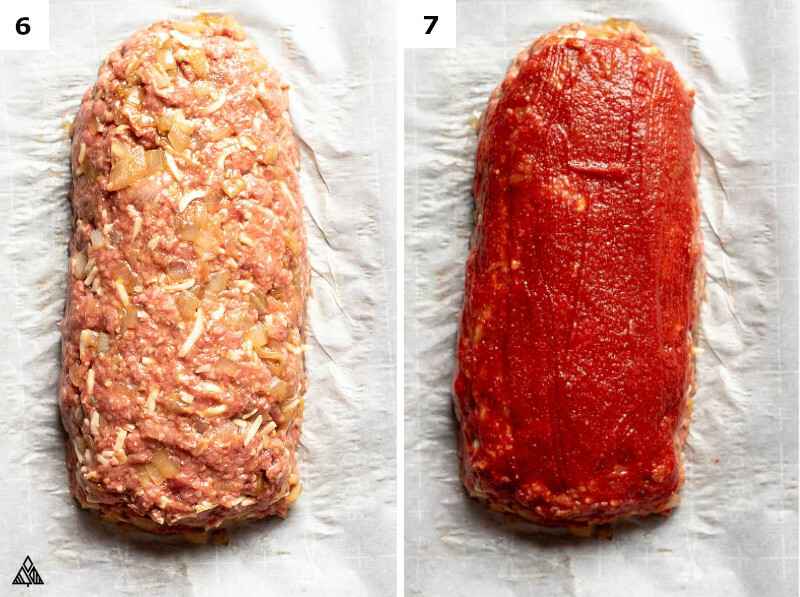 Epicurious swears the best meatloaf is made of 25% pork, 75% beef. I’ve tried this low carb meatloaf with their suggested ratio. I’ve also made it with 100% beef. The truth is, my trusty taste testers and I couldn’t taste much of a difference — What do you think? Which do you prefer? Cooking the low carb vegetables. Most low carb meatloaf recipes utilize raw veggies — but caramelizing them helps to bring out their flavor and get rid of excess water. 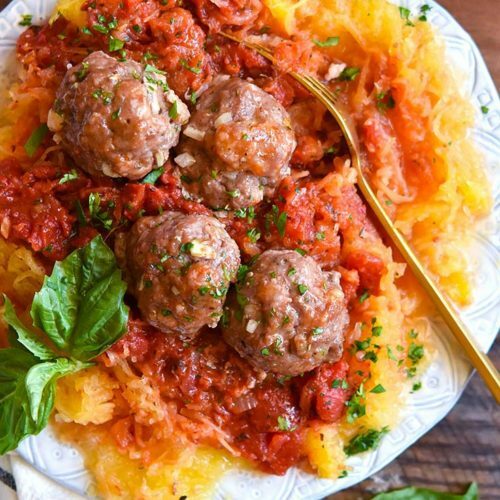 Pst, if you’d like to save yourself some carbs, consider cutting the keto vegetables in half, or swapping them with lower carb vegetables (although onion is my favorite flavor packed addition to meatloaf!). I loveeeee low carb ketchup. I make it in bulk, and store it in the freezer, so whenever I’m making something (such as this low carb meatloaf), I can skip the extra step. If you don’t have any sitting around, make your own using the first 5 ingredients listed in the recipe below. I picked up this trick from Epicurious. According to their article on “How to Make the Best Meatloaf”, they explained that cooking this dish on a rimmed baking sheet yields a significantly tastier meatloaf. 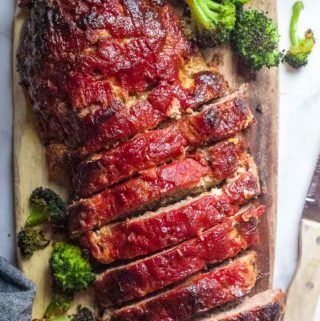 Now I know that seems weird, especially since most recipes recommend cooking meatloaf in a bread pan, but when you do that, you end up cooking your low carb meatloaf in a pool of beef juice (gross thought, I know) — which yields a wet low carb meatloaf that’s “steamed” rather than “baked”. 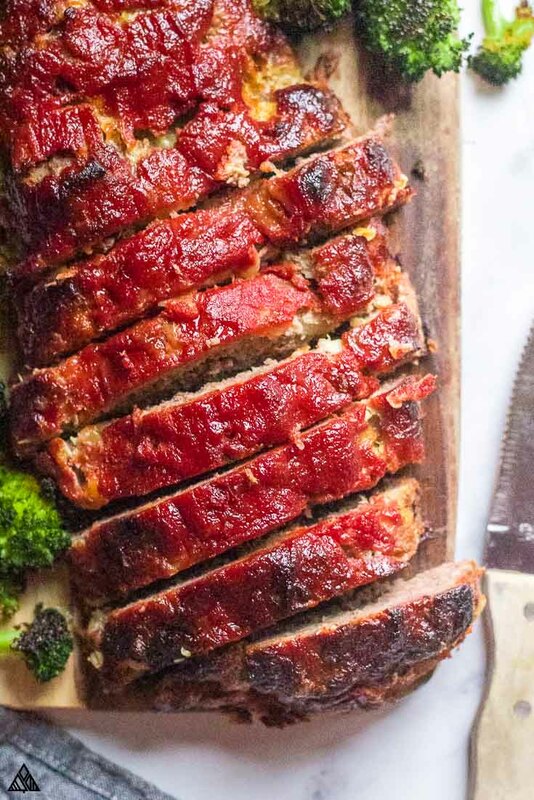 Cooking your low carb meatloaf on a rimmed baking sheet allows the ketchup to caramelize along the edges, and the steam to escape. Fair warning, your meatloaf pan will look a tad messy coming out of the oven from all the melted cheese and juices — I always plate this on a serving dish and clean around the edges. In case you’re curious, there are a whole lotta carbs in meatloaf with bread crumbs — thanks to the breadcrumbs (duh) and ketchup. The breadcrumbs are used as a binder, which help add moisture to traditional meatloaf recipes. 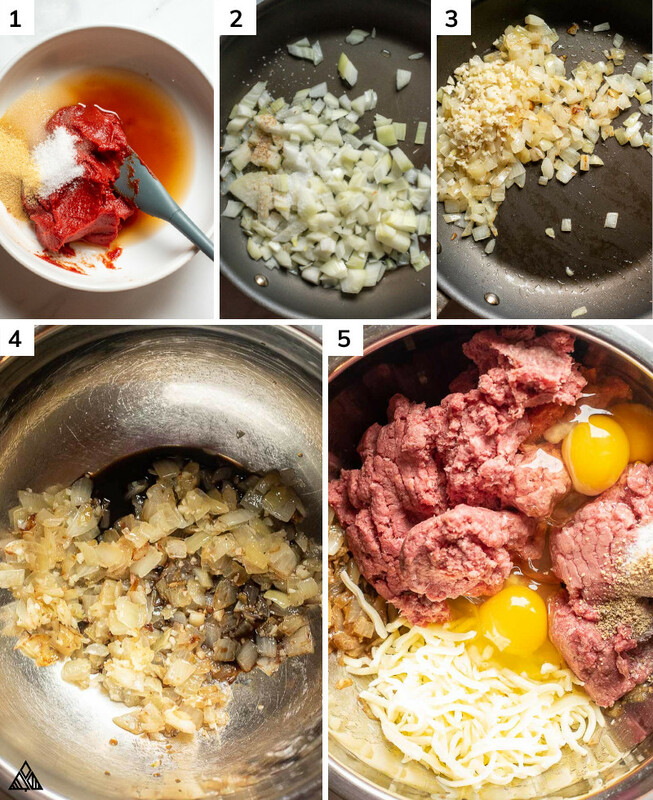 In our low carb meatloaf, we’ll add eggs and cheese instead — both add moisture while keeping everything together. In lieu of ketchup, we’ll use low carb ketchup, easy as that! Roasted broccoli. Toss florets in olive oil, salt and pepper and place them on a baking sheet, easy! Try using low carb BBQ sauce instead of ketchup in this recipe for a little extra zest! You can also try making low carb meatloaf with salsa — add the salsa after baking, as salsa doesn’t contain the same ingredients that will create that caramelized crust. Try adding some additional aromatics to your low carb meatloaf, such a celery or carrots — just use less onion so the ratio (binding ingredients vs. non-binding) stays about the same. If you’d like more nutrients, try making low carb meatloaf with spinach or low carb meatloaf with cauliflower. Again, be sure to cook all the liquid out first, and substitute these veggies for some of your onions. 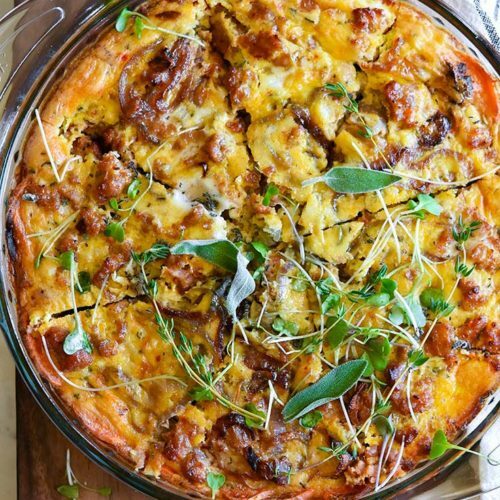 You can use a different meltable cheese in this low carb meatloaf— cheddar, mozzarella, and jack would all be delicious! Since we aren’t using breadcrumbs to make this low carb meatloaf no pork rinds, the cheese is one of the most important ingredients in binding everything together — which means this isn’t a paleo meatloaf recipe. However, before I was diagnosed with diabetes, I made a meatloaf version which uses sweet potatoes for moisture and almond meal to bind everything together — check it out if that’s more your style! 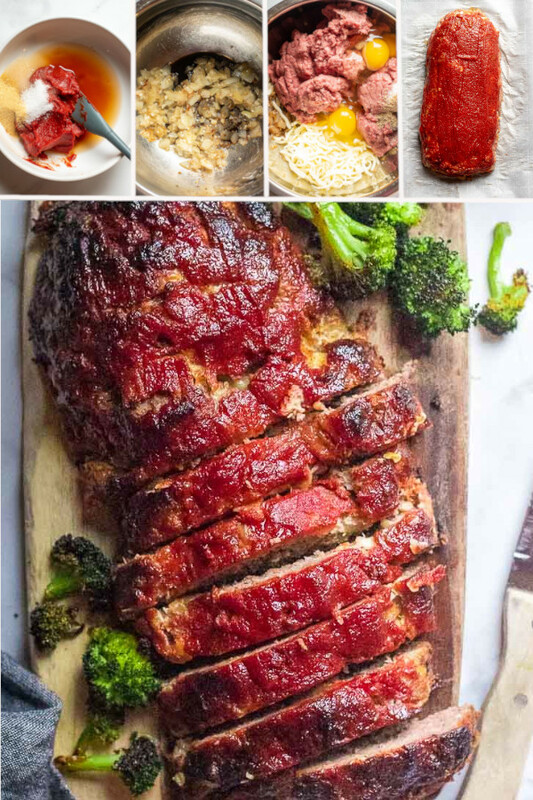 Low carb meal prep is key in sticking to your goals — and this caveman keto meatloaf recipe is perfect to portion out for individual meals. 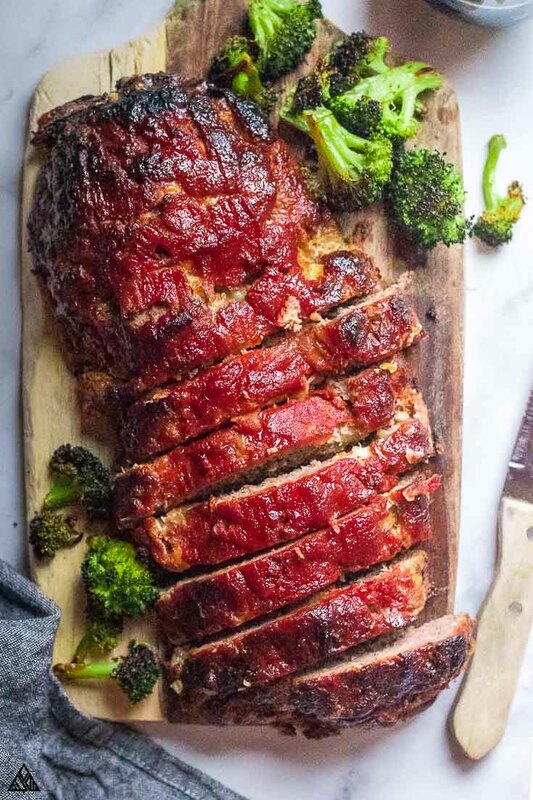 Try baking this low carb meatloaf without the ketchup — instead, bring an individual container of ketchup on the side, and pour it over your slice before reheating it in an oven/toaster oven (this will allow it caramelize on top and create a delicious crust). You can also bake these in muffin tins for individual portions of meatloaf! Baking times will vary, set a timer for 25 minutes to check the temperature of your meatloaf — you’ll know it’s done when the center reaches 155F. Alright friends, I can’t WAIT to hear what you think of this low carb meatloaf recipe! Be sure to leave a comment below to tell me what you think — would it make your Grandma proud? 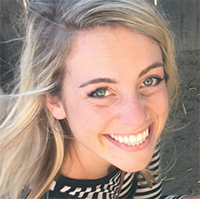 Hi Lindsey!! I love all your recipes! On this one do you think it would hold up firm if I swapped out hamburger for turkey burger? I’m trying to eat a little lower in fat and carbs but LOVE meatloaf. Thank you SO much Kim! Great idea, I always love cutting back on fat as well (although this recipes doesn’t show that!) I haven’t tried this yet, but I think the meat may be a little dried — I would try adding a little more cheese and you should be ok? Let me know how it goes, sounds DELICIOUS! OMG LISA, The pictures of your meatloaf look SO good I am literally salivating. I commend you on your picture taking. I truly believe pictures either make or break the product. I am going to try your meatloaf and hoping it comes out as good as yours looks lol. Did you see the cauliflower “steaks” on the Epicurious link you provided? Looks yummy. I recently saw how to prepare cabbage “steaks” and the recipe is similar. 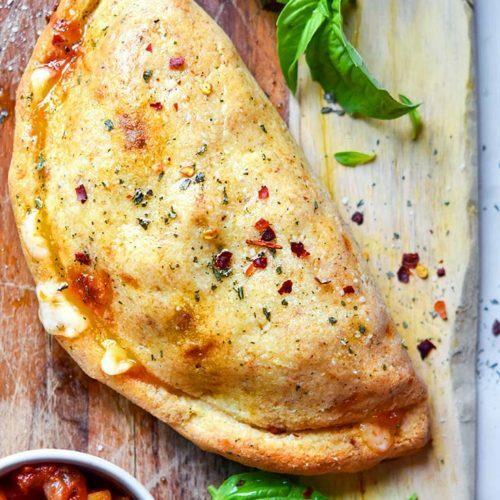 am going to try those also with maybe a little shredded parmesan on top Thank you for all your work and sharing of your outcomes. Thank you thank you!!! The meatloaf is SO delicious, I wanted to take photos that showed that, can be a challenge with this dish, LOL! Cauliflower steaks, yes pleaseeeeee, how did I not catch that on the link? Can’t wait to give those a try, let me know how the cabbage turns out! I love all your creations!